Inabel Burns Lindsay, the founding dean of Howard University's School of Social Work, led the profession of social work to a new understanding of the importance of culture and served as an example of an academic leader who was a strong advocate for social justice. Lindsay, AM ’37, developed her interests in promoting opportunities for disadvantaged people as a child growing up in Missouri when Jim Crow laws were in effect and where she attended a “colored” high school. “Our whole family had been socially conscious,” Lindsay later said. She entered Howard University at age 16. After she graduated with her bachelor’s degree in 1920, she entered the New York School of Social Work, where she developed her interest in the role culture plays in social work. “Practitioners at the time tended to look for universal values, and too often used pathology as a guide to their work,” explains Sandra Edmonds Crewe, current Dean at Howard University’s School of Social Work. Lindsay returned to Missouri and worked in a public welfare office and then enrolled at SSA. Upon completing her degree in 1937, E. Franklin Frazier, a professor of sociology at Howard, invited her to join the faculty there to assist in the development of a social work program. Frazier had been her classmate at Howard and received a PhD from the University of Chicago in 1931. Lindsay directed the social work program when it became a separate division in 1939, and became the Acting Dean of the School of Social Work when it was established in 1940. She later became Dean and remained Dean until her retirement in 1967. She was one of the first African American women to serve as an academic dean during the 1940s, 1950s, and 1960s, and the only female academic dean at a coeducational college in the Washington, DC area during those years, says Crewe. While Lindsay was Dean, Howard became the second accredited school of social work at a historically black college or university. “She always said she wanted the school to be second to none,” adds Crewe. Lindsay felt the school should have a curriculum that reflected an appreciation of how racial, social, and cultural factors were reflected in the needs of people and how people were influenced by those factors. “Asking an insensitive question posed the possibility of wrecking a relationship with a client,” Crewe explains. “If you were a social worker, working with a father in a black household and he is unemployed, you shouldn’t simply ask him why [he’s unemployed] without an understanding of the multiplicity of systemic injustices. It could be because of discrimination, he lost his job, or it could be because of a criminal record imposed as a result of unjust reasons,” says Crewe, who has written scholarly biographies of Lindsay. Dean Lindsay felt that racism is a root cause of many of the problems black people face and leads to other problems. 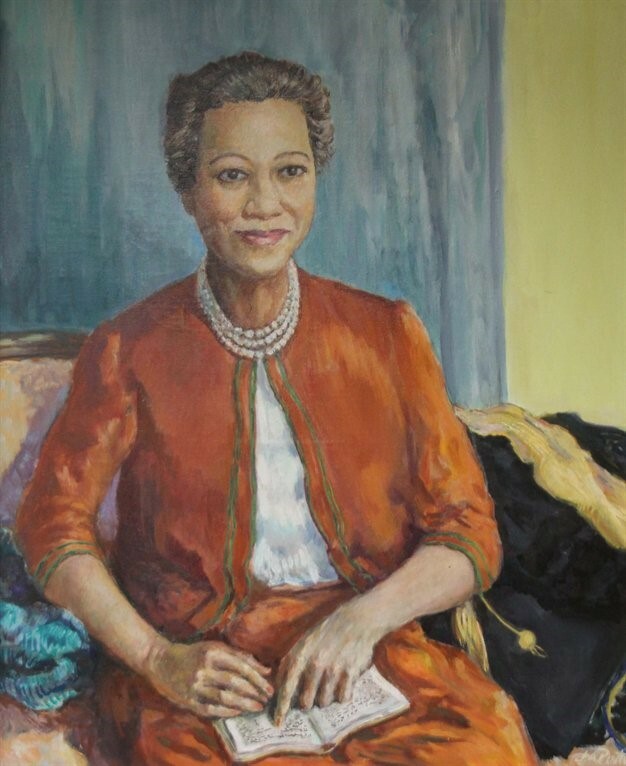 Lindsay took a leave from Howard to pursue her doctorate degree at the University of Pittsburgh, and received a PhD in 1952 after completing a dissertation documenting the underappreciated work of blacks in social welfare. While she was Dean, Lindsay participated in boycotts against the racial segregation of federal cafeterias and other facilities and was investigated by the U.S. House of Representatives Un-American Committee for her activism. She helped find field placements for black students and accordingly helped desegregate several federal agencies. Lindsay was a delegate to the 1966 White House Conference on Civil Rights. After retiring, she wrote The Multiple Hazards of Age and Race: The Situation of Aged Blacks in the United States. She died in 1983, and in 1985 the School of Social Work building at Howard was renamed the Inabel Burns Lindsay Hall.